Pizzelle fruit & almond butter shortcake is one of the easiest, prettiest, and yummiest treats ever and is PERFECT for a ladies’ luncheon or brunch! 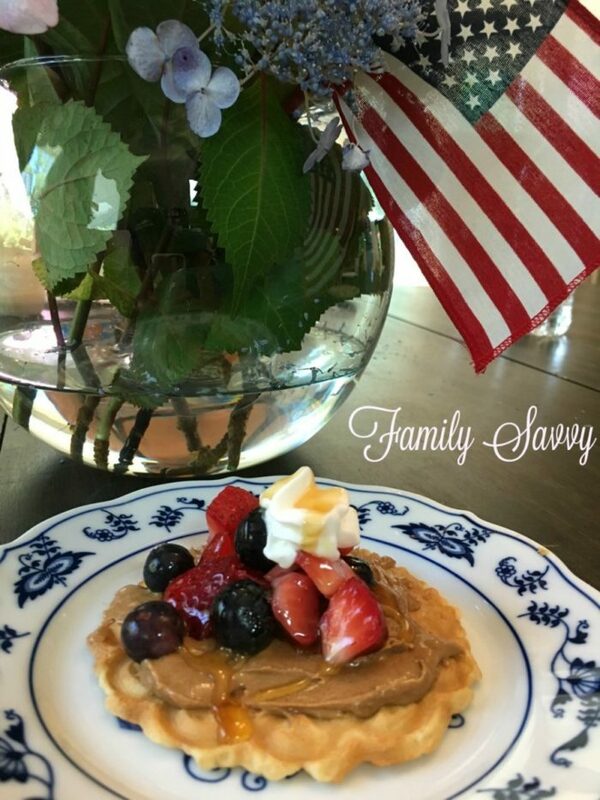 This savvy recipe is the brainchild of my sister-in-law, Twyla, who created this recipe for a ladies’ brunch and then shared it with our family one weekend at the lake. It is amazing on several fronts, especially for those who love to entertain. Bookmark this for future reference! 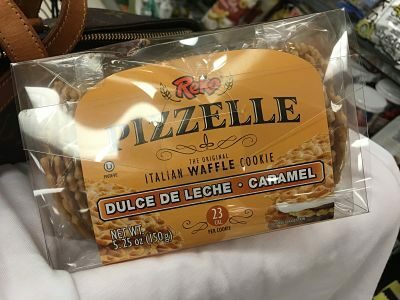 Pizzelle is an Italian wafer cookie. You’ve probably seen these before in yogurt shops (Pinkberry) and ice creamerys. The original and most popular brand is Reko Pizzelle. These are also found in stores such as Ross, Home Goods, World Market, and T.J. Maxx. You can also buy them on amazon or directly from the Reko Pizzelle website. Each pizzelle wafer has only 23 calories. The sky is the limit for making these “shortcakes!” You can switch up the fruit, use different nut butters (peanut, sunflower, nutella, etc…. ), and add all sorts of toppings. This recipe couldn’t be simpler, more versatile, or more adorable. Twyla said that they were a huge hit at the ladies’ brunch. They look complicated and fancy, but they are as easy as pie! Note: You can also use the Pizzelle wafers to make canollis and other “rolled” desserts. A few seconds in the microwave makes them pliable and soft, then you can fill them with fillings such as ricotta or cream cheese. Make ahead: The pizzelle shortcakes can be made ahead and kept in the fridge until serving. If fresh fruit is used, they should keep well if made the night before and served the next day. If you make these or if you create your own savvy Pizzelle creation, please let me hear from you! I am sure we can come up with hundreds of creative ideas with Pizzelle:-) As always, thanks so much for stopping by. Be blessed, and stay savvy!!! Easy, elegant, and yummy~this is a treat worthy of a ladies' brunch or luncheon. Lay a Pizzelle wafer on each plate according to number of servings needed. Spread wafers with almond butter. Drizzle with honey or maple syrup. Squirt with whipped cream. (Do this just before serving, or the cream will melt). Make ahead: Do all except whipped cream; refrigerate until serving. Top with whipped cream just before serving.